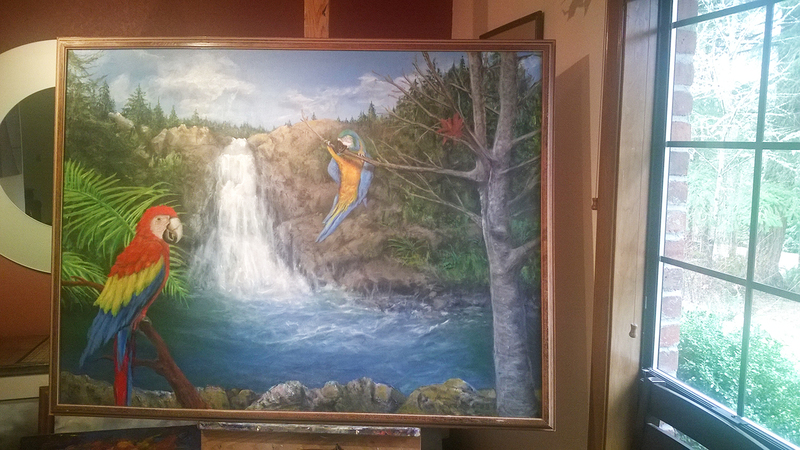 After thinking “Gracy’s Lagoon” was completed a few weeks ago, the birds have flown back to the easel for some touching up, along with the rocks…etc. Seems like hanging it on the wall was an invitation to enjoy and examine, only to see things that might still be “improved.” And…back to the painting studio. So, when is a painting really done? Some famous artists have carried their work around for years, like Leonardo and his “Mona Lisa” which he loved so much he carried it with him wherever he traveled. It could be that a friendship develops with some works and their creators. It could also be that the relationship is heightened when others show interest in a particular piece…making the artist more aware that others are looking at this work, so it better be as good as they can make it. Perhaps, it is not until the work finally leaves the artist’s possession that the work is really completed.